Lot 3794 (No. 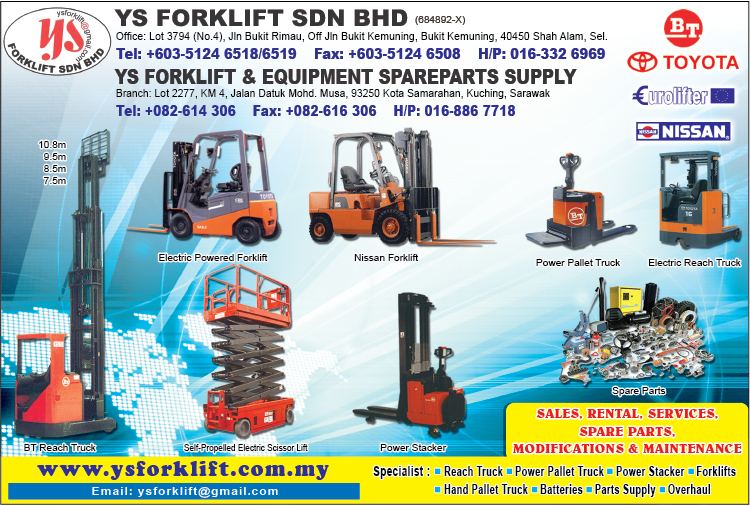 4), Jalan Bukit Rimau, Off Jalan Bukit Kemuning, Bukit Kemuning, 40450 Shah Alam, Selangor, Malaysia. 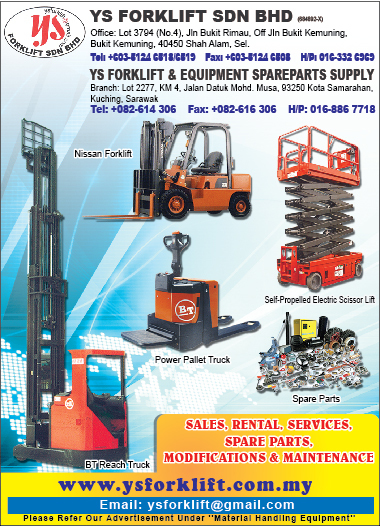 Our expertise can offers a complete range of material handling equipment for internal and external material handling from hand pallet trucks, powered pallet trucks, power stacker, reach trucks, order picking trucks, very narrow aisle trucks, battery / diesel / gasoline operated forklift trucks, sweepers, scrubbers and also engineering work.